There are many prescription weight loss medications available that can help obese individuals lose weight. 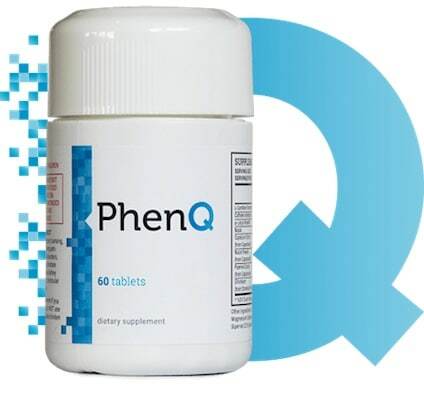 These pills typically do not require the patient to start a rigorous exercise program or convert to a difficult diet plan in order to be effective. While prescription diet pills have proven to be successful with helping individuals lose weight, they are also associated with a wide assortment of health risks. Meridia has been linked to causing strokes, increased heart rate, and various other cardiovascular issues. Here are the facts about Meridia and why it was considered to be too harmful to remain on the market as an effective prescription weight loss option. You can check out our article on at Lean Body Look. Meridia was a once a day weight loss pill that was only available by prescription. It was pulled from the market by the Food and Drug administration in 2010 because it was shown that the drug raised the risk of heart attack and stroke. Along with the serious health risks involved, Meridia also seemed to offer less than stellar benefits to those who took it. At the time when the FDA pulled the drug from the market, there was an estimated 100,000 individuals taking the drug in the United States. Meridia contains the active ingredient Sibutramine. This oral anorexiant is usually available in the form of hydrochloride monohydrate salt. Up until the year 2010, the drug was prescribed to treat exogenous obesity. It has since been pulled from the market due to its association with strokes, heart attacks and other cardiovascular conditions. Sibutramine is a serotonin norepinephrine reuptake inhibitor. This combination caused it to have severe interactions with MAOIs and drugs that inhibit CYP3A4 such as erythromycin or ketoconazole. When taken with MAOIs, Sibutramine could increase the patient’s risk of serotonin syndrome. 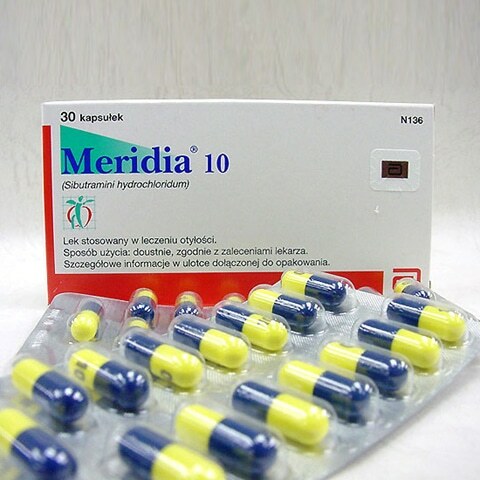 Meridia is the brand name for the drug Sibutramine. This active ingredient was manufactured and sold under a wide variety of names, including Reductil and Sibutrex. All drugs that contained sibutramine were discontinued at the same time in 2010 by the FDA. Meridia provides a therapeutic effect through the inhibition of the ingredients serotonin, norepinephrine and dopamine reuptake at neuronal synapses. By stopping the reuptake of these neurotransmitters, Meridia can provide the user with a decrease in appetite. This helps the patient to lose weight because they are consuming less food. Studies have shown that the active ingredient sibutramine may also promote energy through thermogenic effects. While it was still being prescribed by physicians, the recommended starting dosage of Meridia was 10 mg, once per day, with or without food. The dose could be increased over time if the results were not satisfactory. After four weeks, physicians could increase the dosage to 15mg once per day. It was not recommended that any patient be prescribed a dosage of Meridia above 15 mg per day. Most individuals would take Meridia in the morning, and it could be taken with or without food. Sibutramine was first discovered as a drug in 1987. At the time, the neurotransmitter was investigated to be used as an antidepressant. That is because it behaved similar to other serotonin and norepinephrine uptake inhibitors. The ability to reduce the uptake of serotonin made experts particularly interested in the drug and its possibilities. As it was being studied as a new antidepressant, many experts took note of the effect that sibutramine had on obese patients. It seemed that the drug was causing a very noticeable decrease in weight. This discovery led to sibutramine being used as an anorexiant drug. It was approved by the FDA in 1997 to treat clinically obese individuals and marketed by Knoll Pharmaceuticals. The ingredient was added to brand name weight loss drugs Meridia and Reductil. In 2010, Sibutramine was pulled from the market due to its association with being linked to several cardiovascular disorders and strokes. It is no longer available to be prescribed as a weight loss pill. Some of the least common side effects that were associated with Meridia and Reductil include achiness, chills, irregular heartbeat, high blood pressure, depression, swelling of the feet and ankles. The most common adverse effects include anxiety, constipation, headache, trouble sleeping, nervousness, dizziness and irritability. The most severe effects that patients received after taking a product containing sibutramine were cardiovascular issues such as a fast heartbeat or heart attack, and stroke. The drug was also known to have very harmful interactions with other drugs containing Serotonin.